It is a common misconception that I must do more cardio exercises to lose weight. For almost 20 years up until now, I believed that lifting weights or doing resistance training will make me bulky and buff. 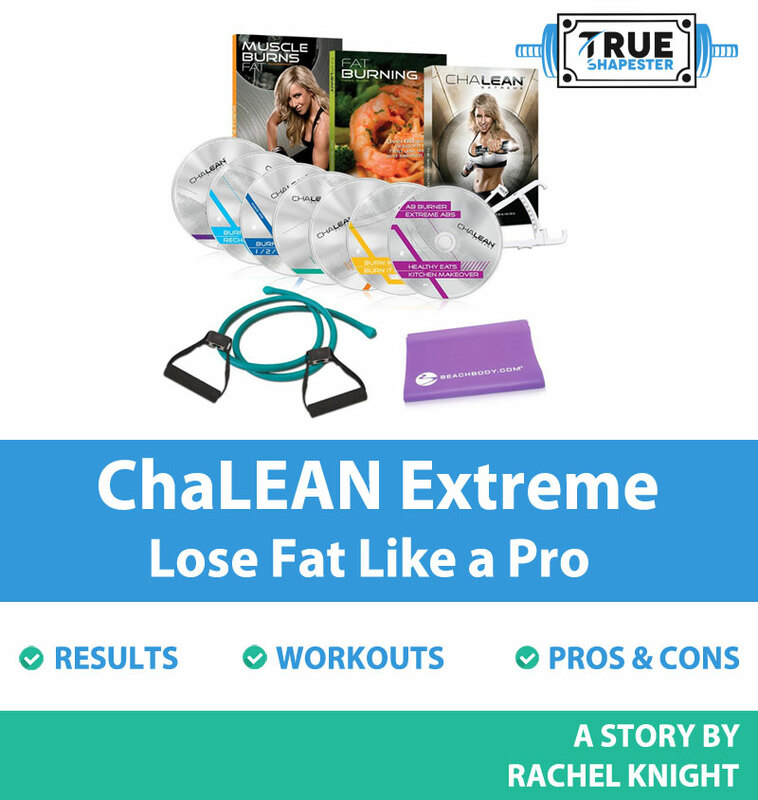 When I get to watch a video of the features of ChaLEAN Extreme, I was curious on how people managed to lose weight and become lean using resistance training. I found out that losing weight is different from losing fat. Losing weight may indicate I have lost body water, muscle mass, or body fat. It does not necessarily mean I am healthy and fit. On the other hand, losing fat becomes achievable by maintaining my body weight while losing extra pounds of fat or increasing my muscle mass by converting fat to muscle. What excites me more is that losing fat becomes faster if my muscle mass increases. I learned that my body becomes a calorie burning machine because forming muscles need extra energy in the form of calories. I might weigh heavier, but research told me that it would be better to be heavier because of muscle mass than to be heavier because of body fat. On the contrary, I might weigh lighter, but my body fat percentage is higher than my muscle mass. This confirmed that I need to engage in muscle building and resistance training. ChaLEAN Extreme is a combination of cardio and resistance training, which gave me promising results every 30 days I was on the program. Burning fat becomes faster than usual, not mainly because of cardio training, but because of resistance training. It also answers the common problem of people reaching their body plateau. This program has 15 workouts in 6 DVDs. 90 days are divided into 3 phases, which makes 1 stage per month. Each month has a different goal and progress. The first month focuses on burning fat and jump-starting my body’s metabolism. The second month gives me the challenge to build muscle mass with exercises beyond my comfort zone. The last month or phase is the period to get lean and see my expected body transformation. The first workout in DVD 1 contains the Burn Basics/Healthy Eats & Kitchen Makeover. This taught me to learn the proper form and techniques for every resistance move. I realized that working out is not only doing the maximum number of repetitions, but also the proper movement and execution of these exercises. The next three workouts compose of Phase 1 or the Burning Phase. In DVD 2, the workouts Burn Circuit 1, Burn Circuit 2, and Burn Circuit 3 are variations of lifting weights to kick start my metabolism and lose my extra fats. They are moderate workouts focusing both on the upper body and lower body. After 30 days, I have seen that my fat on my legs, thighs, and hips have decreased. The second phase in DVD 3 is called Push. It also has three workouts namely the Push Circuit 1, Push Circuit 2, and Push Circuit 3. The routines differ as my body starts adapting to the first Phase. There are muscle building routines added as I lift heavier. I still feel the burning of my body fat, especially around my arms, thighs, and waist. I became leaner than I was in the first phase. The third and final month melts my excess fat, which makes me thinner with the Lean Circuit 1, Lean Circuit 2, and Lean Circuit 3. This phase pushes me beyond my limits through new routines and moves as I know that the end is coming to a close. Aside from muscle building, Extreme Cardio Phase is needed to balance the fat burning process. In DVD 5, it also contains three workouts, which are Burn Intervals, Burns it off!, and Recharge. I am sure that my calories are burned. At the same time, I am also becoming more flexible with these cardio workouts. Workouts would not be complete without training my core. DVD 6 incorporates two bonus workouts, which are the Ab Burner and Extreme Abs. I felt the fat burn and strength around my core. Doing these workouts would be impossible if not for Chalene Johnson giving me instructions. Her Extreme Motivation CD did not only motivate me but also challenged me to step up and be committed for the next 90 days. There is power in encouragement. This program also gave out gifts to help me with my workout. The Pro-Grade Resistance Band helps me to burn fat and to tone my muscles at the same time. The Thigh Toner Band makes my lower body sore but is worth it because makes my lower body become an efficient fat burning machine. Exercise would be useless if I do not change my eating habits. Chalene Johnson shared a Fat-Burning Food Guide to help me choose the right food for faster fat burning. Before, I thought that I need to starve myself by being fit, but because of her personal recipes in the Healthy Eats and Kitchen Makeover DVDs, I learned that eating healthy and nutritious food is the key to a fit lifestyle. The Muscle Burns Fat Guidebook helps me to keep track of my workout schedule through its calendar and guide in choosing the weight to use for lifting. The Body Fat Tester also motivates me to continue my workouts and balanced diet each day as I am challenged to decrease my body fat and increase my muscle mass each month. Lastly, their online support helps me to learn about stories of people with the same struggle of balancing food, exercise, and life. This fitness program is teaching me not only how to gain strength, but also the discipline and focus on meeting my goals. This is recommended for all kinds of people who want transformation in their bodies. This program is not too difficult for starters, but not too easy for people already engaged in workouts. The presence of a female instructor is encouraging. Chalene Johnson is not the typical mother who stays unfit. She made me realize that it is not too late to transform my body in only 90 days. Resistance training is doable with the use of resistance bands. There is no need for the gym for free weights. The workout is not effective without strictly following the diet. It is not doable without resistance bands. I can testify that the results I saw on other people are right. ChaLEAN Extreme served not only as a program but also as a motivation I can bring anywhere.